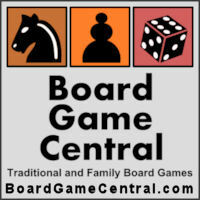 Board Game Reviews by Josh brings us a top-ten list of two-player board games, including Jab Realtime Boxing, Arimaa, 1960: The Making of the President, Game of Thrones: The Card Game, Hive, Jaipur, Dvonn, Star Wars: Customizable Card Game, Summoner Wars, and Twilight Struggle. Great list, Josh! "All good is hard. All evil is easy. Dying, losing, cheating, and mediocrity is easy. Stay away from easy."